A quick release attachment to winger for receiver would be nice. Choose Silver or add $20 for Black Powder Coat finish. The "Mini-Zinger Winger" has been designed to be the smallest launcher available on the market. It is a lighter more compact version of the Field Trialer and features the Multi-Shot sound release. The Mini-Z is a perfect choice for those looking for high accurate marks but needing an ultra small unit that is easy to operate, carry, and store. 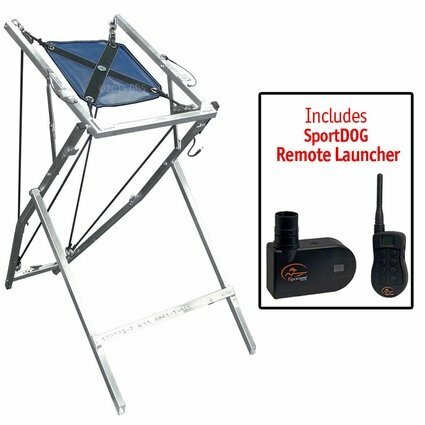 The Mini-Zinger dummy launcher will launch ducks, pheasants, pigeons, Dokken Dead Fowl Trainers, and bumpers as well as live flyers for those times when you need that added excitement and realism. Compatible with most remote release electronics. The Mini-Zinger Winger G4 is the smallest winger available on the market. It is a lighter more compact version of the Field Trialer G4 and features the exclusive servo actuated Multi-Shot Sound release mechanism which fires 209, .32 and .22 caliber blanks. This state of the art release is housed in a sound chamber to amplify the shot sound necessary for long distance mark training. 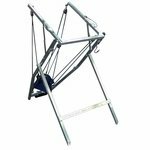 Size and Weight - The Mini-Z was designed to be lightweight and take up the least amount of space as possible. They fold flat to fit into the backseats of small cars and minivans as well as above dog crates and car toppers. They can also be carried into the field by just about anybody (men, women and kids). The Mini-Z weighs 12 pounds and measures 1 by 25 by 49. Arc and Throw - The small size and weight of the Mini-Z doesn't mean we sacrificed performance. It features fully adjustable arc of throw. The angle of the throw is affected by changing the position of the legs. 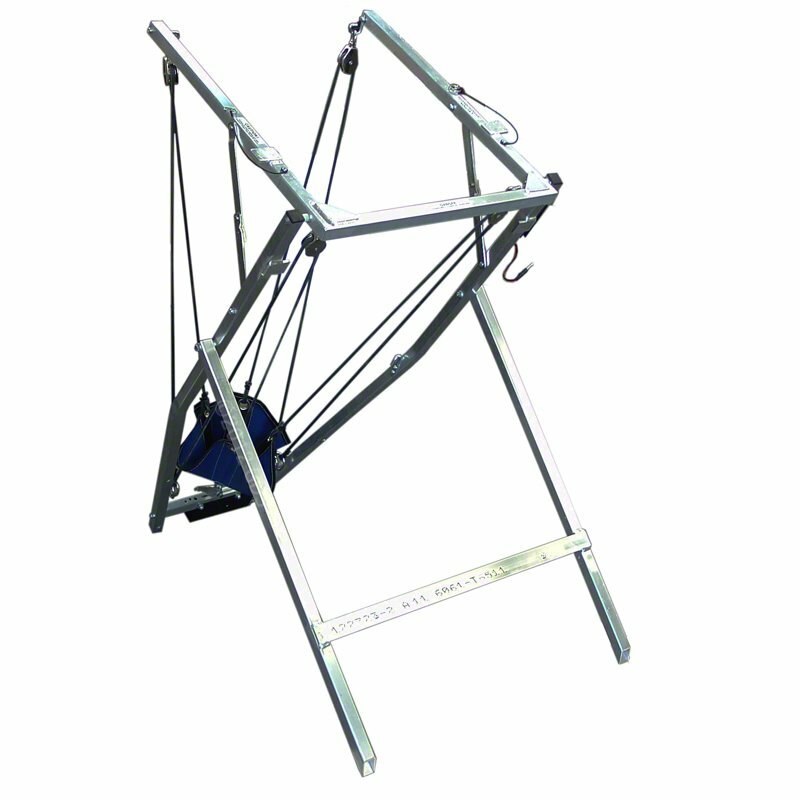 Field Trialers will enjoy the consistent height and placement that best simulates a hand thrown mallard. It throws marks higher and longer than other wingers twice its size and weight. 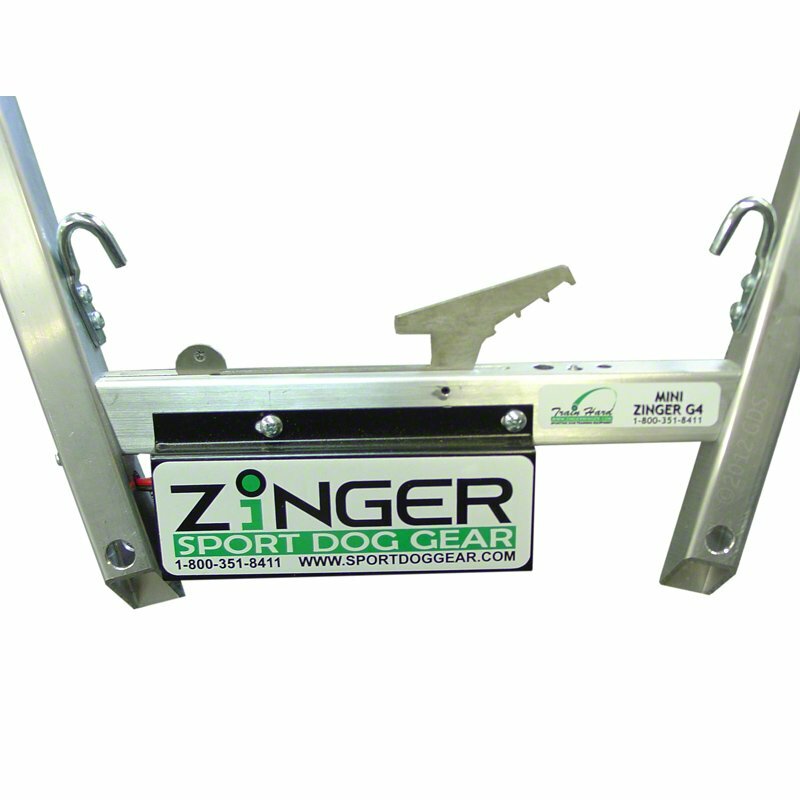 The Mini-Zinger will launch ducks, pheasants, pigeons, Dokken Dead Fowl Trainers, and bumpers as well as live flyers for those times when you need that added excitement and realism. Set-up and Operation - Whether you are a pro or amateur, the last thing you want to be doing is wasting valuable training time with equipment that's difficult to use. That's why the Zinger Winger was designed to be an extremely user-friendly training tool. With two quick steps the winger is set up and ready to use. No tools or assembly are required to set up the Zinger Winger. 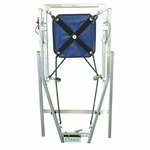 Freestanding - The Zinger Winger is a true freestanding bird launcher. Its unique shape and design provides maximum stability without the need to stake it down. This allows you to train on all types of terrain (soft, hard, rocky, and frozen). You'll spend more time training dogs rather than wasting valuable time pulling and driving stakes every instance you need to modify your training drills. There is no need to carry heavy hammers and tie-down stakes to secure the winger. Multi-Shot Sound Release - All Mini-Zinger Wingers are shipped with our state of the art Multi-Shot sound release. It features a safe user-friendly design that eliminates any guesswork when it comes to loading the pouch and primers. 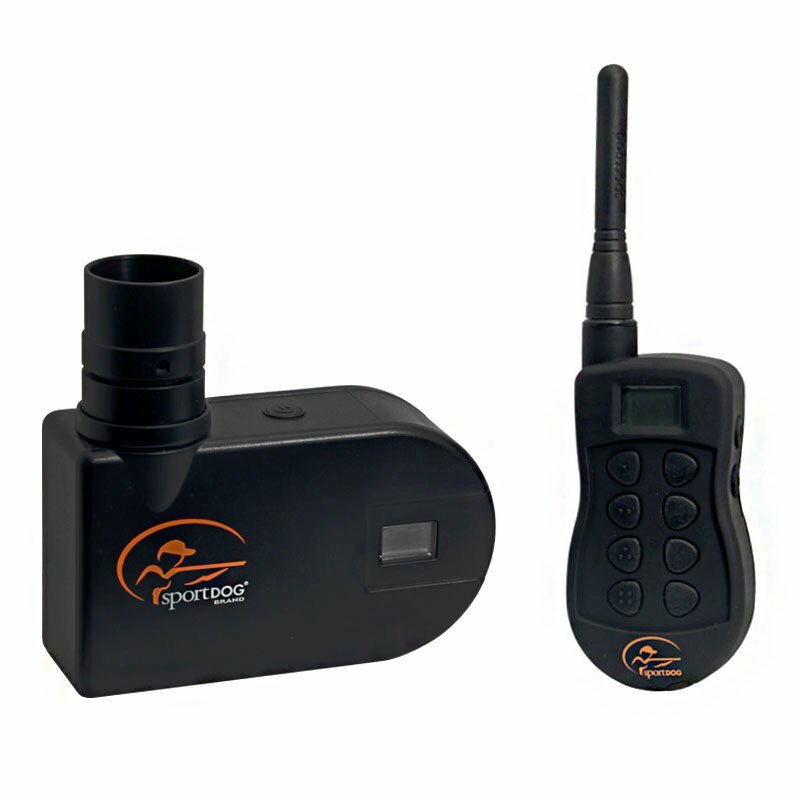 Compatible with most remote release electronics, including SportDOG, Dogtra, and Tri-Tronics. Shotgun-like Reports -- Fires 209 primers and .32 caliber blanks for loud reports. A curved sound chamber housed in the base directs the shot blast upwards increasing the decibel level of the report. Precise timing is ensured between the shot sound and the launch allowing the dog time to pick up the flight of the mark. 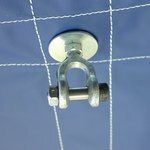 This is a great feature when training on long marks or in windy conditions. Silent Launch -- The new release also provides the option for launching your birds silently. This is important when simulating hunt conditions and training for hunt tests. 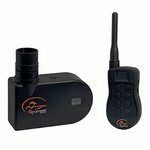 Compatible with Tri-Tronics, Dogtra, and SportDOG electronics. Precision Engineered -- The stainless steel triggers are precision laser cut. The aluminum housing is milled on CNC machines to tight tolerances. The parts that make up the assembly fit together perfectly to exact specifications giving you a product with unmatched reliability. Retrofitting -- The release mechanism can be retrofitted to older zinger wingers and other brands of launchers. 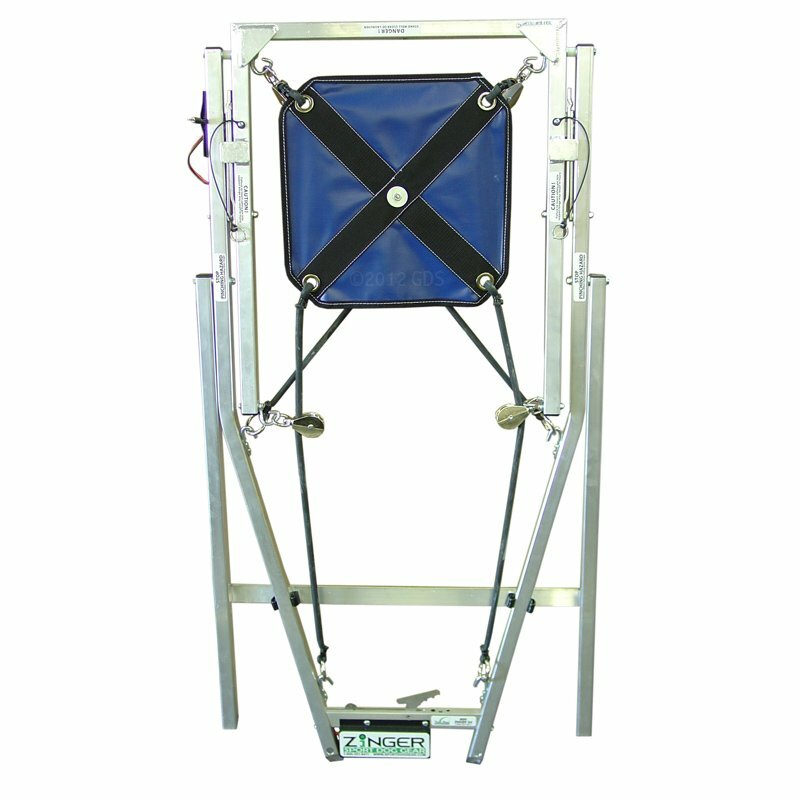 Protective Housing -- The critical parts of the release (solenoid, trigger, spring) are shielded by a protective aluminum housing ensuring reliable operation even under the extreme abuse it will receive in the field. 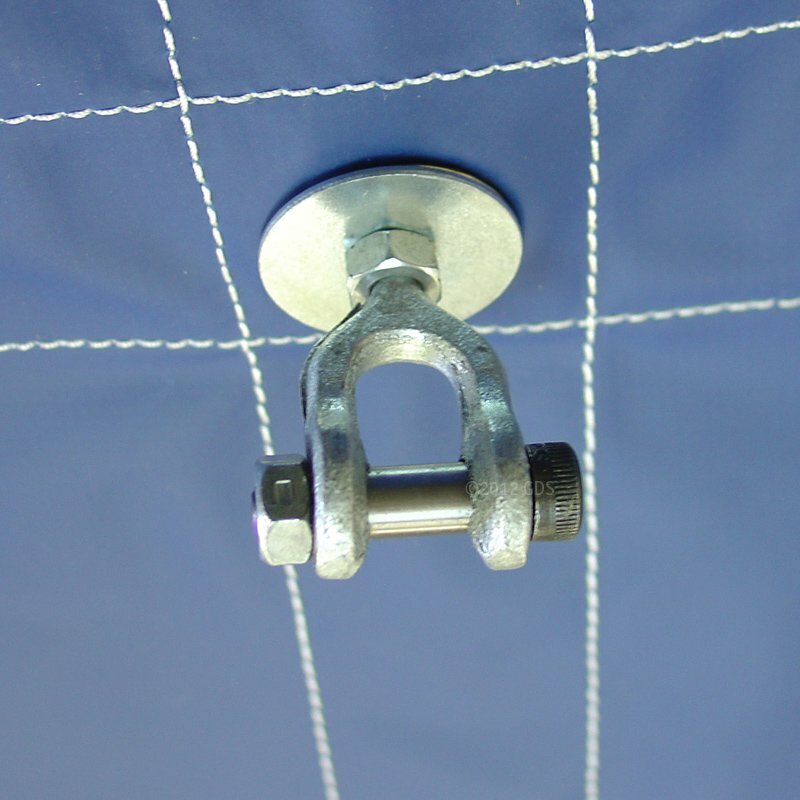 The design allows the user to quickly remove the release mechanism for cleaning and servicing. The remote receiver mounts 4-5" off the ground to increase range and reception over all types of terrain. Reception problems are common to remote launchers where the receiver is mounted at ground level. Manual Operation -- The release can be activated manually by attaching a lanyard to the trigger. 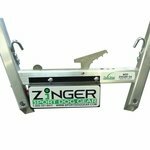 Warranty - The Zinger Winger Company prides itself on the quality workmanship and materials that go into constructing our products. Use it for 30 days after which time you may return it for a full refund if you are not fully satisfied. Every Zinger Winger is thoroughly tested, inspected, carefully packaged and shipped fully assembled and ready to use. Zinger Winger's commitment to you extends throughout the life of the product with our lifetime warranty on parts and workmanship. Excludes pouch, rubber and wire leads.